Ken Tomlinson, the crack Bushhead now heading the Corpse for Public Broadcasting and the ace who hired Mr. Mann to decide which bits of public broadcast were "anti-Bush," "anti-Delay," or "anti-corporation," used to be Editor in Chief of Reader's Digest. The Reader's Digest somehow failed to make this list. I'm guessing the list compilers all have the dog-eared mag sitting beside their porcelain thrones, or Lazy Boys. Porcelain Lazy Boy thrones. Flag decals, wet bars, noble stags. The following are some of the basic values founding the discourse of the Reader's Digest. Individual achievement. Digest characters are always struggling, against bad luck, against systems and regulations, against diseases, and their only weapons are their own courage, cooperation between individuals, and an occasional helping hand of God. Optimism. Most Digest stories have happy endings. There is only one other case: the article may acknowledge in the end that there are still many difficulties to overcome, and give advice. Moral conservatism. Though the Digest has from the beginning written very openly on sexuality, it has always been emphatically in favor of traditional marriage, loyalty to your country, discipline and charity, and against feminism, free love, positive discrimination (affirmative action). Free market economy. In almost every issue, the magazine fights taxes, government regulations, budget deficits, labor unions, and for many decades the Communist system. All these ideologemes fit into a rather elaborate and consciously reproduced doctrine. Nothing less jocular than an epitomizing gesture that pretends to be offering a microcosm of the national scene ("Life in These United States." "Humor in Uniform." "Laughter: The Best Medicine." 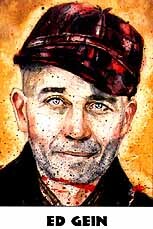 "Drama in Real Life"), when the editorial process has more in common with the compositional techniques of Ed Gein. To someone growing up in New York City, the Digest was like background noise of the Big Bang -- evidence that something really big and nasty had happened, somewhere in the vicinity of Ohio. Which always made it a surprise that it seemed to emanate from Pleasantville, NY. Today it seems more a generational marker. The power of the Digest lay in its power to produce, month after tedious month, a representation of USian reality that obeyed an editorial regimen the way objects obey the laws of gravity. A set of tonal tics and wry bits of humor and remembrance that are the publishing world's version of the politically innocuous personality - the hale fellow, well met, no qualities. The Reader's Digest is apparently still the best selling magazine in the US. No more effective propaganda machine out there. I'll buy that for a dollar. Mr. Tomlinson simply wants PBS to follow suit. Yuk it up - you'll live longer. Which of these journalistic claims is more phantasmagoric? All of this may be dangerous, even delusional, but it is also unavoidable. It is impossible to think of America without these properties of self-belief. M. Ignatieff, NY Times. P2P software folks can rest easier, according to this view of the Grokster case. If the determining element has to do with the "intent" of the business model, well, the business of sharing music we love is not business now, is it? Douglas Lichtman: As the opinion makes clear, evidence of unreasonable product design can be considered only if there is also smoking-gun evidence of intent. Indeed, even outlandish design desicions are off limits without the relevant precursor. I view the Court as having punted: they decided mainly an issue that wasn't in front of them (inducement) and didn't decide the one that was, the effect of Sony in the Internet era. So, the only way the Court could get unanimity was by demonstrating supreme dexterity in the Shell Transfer Protocol known as Three Card Monte? It's difficult to say whether one's sense of an implicit general mood is actually there, or simply in the mind, let alone to accede to some reliable idea of what stands behind the glow. A wild guess: The general smugness of some of the people you meet has something to do with the recent phenomenon of amateur real estate speculating. That glint began to throb like Sauron's eye as the awareness dawned that the largest asset many people own has doubled, tripled, or become n times more valuable than what was paid for it. "Housing is often our biggest expense -- and an important reflection of how we see ourselves." The American Housing Survey. The cheesy calm of the landed gentry is nothing new in the USian middle class. What may be new is how this sense of well being, or at least well owning, has broadened out to include a very broad swath of the more than 72 million homeowners in the US. Some of them are likely on thin ice. Others may be giddily fortunate. The fathappiness of this economic tumor could well help explain how it can be that it's all good here. Despite how it all is. People today only know how to live in society, not in community. The soul of society is the law. The soul of community is love. In society, beneficiaries of asset enhancement (and the media who assuage their simple needs) add an inch to their waistbands, tell themselves it's a zero-sum game because their next manor will cost more, and attend to gossip about housing market bubbles. In community, people know that the very gain in property value that benefits many is baleful damage to those who don't happen to hold title to their subdivision of the rock. Every increase in property value for owners results in a commensurate dimming of the prospects and hopes of ever owning a home for renters and other housing-challenged USians. To register this would be to representationally experience economic events simultaneously as personal boon and communal blow. Do you know of any places in USian media where this dimension of our social experience has been "covered"? Love to see a few pointers. The number of interlocking agendas served by this bottled sacrament is difficult to overestimate. ... an interesting and matter-of-fact article titled The Power Of Us in Business Week, stating in no uncertain terms that the use of interpersonal communications on the Web, in interlinked interconnected environments, is having significant impact on business logic, organizational structures and the power relationships between established and more traditional organizations and their constituents. Just as some individual bloggers have become mini self-promotional industries, so too the blogosphere as a whole seems to do nothing better than come up with ever new and astounding ways to take credit for the most amazing transformational developments. But here's something -- a task, if you will -- for some sociopolitical mythologist to study: What evidence is there that the use of interpersonal communications on the Web, in interlinked interconnected environments is having any effect on the glurgian mystifications of nationhood*? That is, is it possible to study the blogosphere and say with any degree of certainty that (a) the mythos of nationhood is undergoing serious critique leading to a new sense of human order and systems, (b) the activity of global interconnected environments is exaggerating and deepening traditional notions of national identity, or (c) the group intelligence of the blogosphere is having no impact on the matter whatsoever? The Internet's supreme group-forming capability suggests the rise of an almost spooky group intelligence. Within minutes of Pope John Paul II's death, hundreds of eBay sellers had posted related products for sale. *E.g. : "Lo stato, cosi come il fascismo lo concepisce e l'attua, e un fatto spirituale e morale, poiche concreta l'organizzazione politica, giuridica, economica della nazione; e tale organizzazione e, nel suo sorgere e nel suo sviluppo, una manifestazione dello spirito." Mussolini, March 10, 1929, speaking at the Teatro reale dell'opera in Rome. "May this dictionary, which plastically shows the affinity and interrelationship of the nations of the world in the way in which their languages developed, contribute to bringing them nearer to one another in the sincere pursuit of peace on earth -- which was one of my cardinal aims in writing this dictionary." "This work" is the Online Etymological Dictionary - compiled and built by one person, Douglas Harper, freely offered to us all. More about it here. Other than Perseus, what's Academia done that's remotely so fine? Perhaps it hasn't lost enough to gain the motivation. Walter Benjamin notes that Malebranche called attentiveness "the natural prayer of the soul." Gods of capital prey on prayers, sucking our eyeballs until they bleed. What was that problem with the Aztecs? While waiting for this page to load, I put out the dog, and saw a neighbor, who was cutting his lawn. He started telling me about his divorce -- we were there a while when a guy from down the street strolled up, asked me if that was my dog who/which/that had laid a sumptuous steaming pile on his manicured tetragon of grass, to which I assented, upon which he up and pulls out a gun and tells me he's making a citizen's arrest under article 5832B of the penal code, for which high crimes and misdemeanors I will truly pay. A scuffle arose during which the gun went off. I spent five years in prison, after a lengthy trial, during which I wrote a country music ballad with a raga feel that went to the top of the charts. A movie based on the song came out three years ago. I get no royalties since that would be profiting from my bad behavior. Now fully reformed, I am on the lecture circuit of the Church of the Sons of Simpering Scottish Accountants, 7th Reg., HMSS. My career on the rubberstemcell circuit brought me to the attention of Karl Rove, who approved my White House credentials after my seventh lobotomy (Karl's had 78!) so I'm now responsible for all US foreign policy, and -- ah, it's loaded.